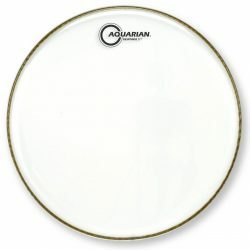 The Aquarian Response 2 Texture Coated is a well balanced drumhead, with a balanced-warm moderate sustain and smooth attack. 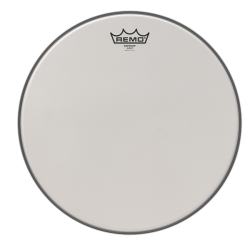 This drumhead also has good durability, allowing for harder hitting when needed. The Aquarian Response 2 Texture Coated is made with two plies of 7mil film, and a top coated layer. The coating adds a little more warmth and slightly more responsiveness compared to the Clear Aquarian Response 2. The Response 2 Texture Coated performs well across many situations, although really shines at medium-high volume levels. 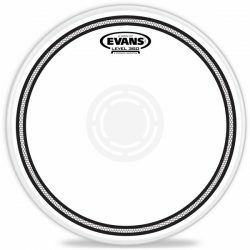 This drumhead has no added dampening or control, allowing it to keep a fairly open sound with a moderate sustain. 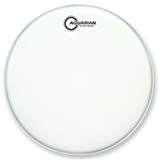 The Aquarian Response 2 Texture Coated has a moderate warm attack, which fits well with medium volume playing or studio recording. The initial attack is followed by a moderate-length warm and smooth sustain. 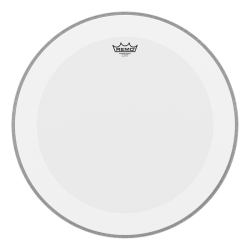 Overtones are present, but the the 2-ply construction helps to keep them from ringing out of control. The top texture coated layer also helps to reduce higher-pitch ringing overtones. 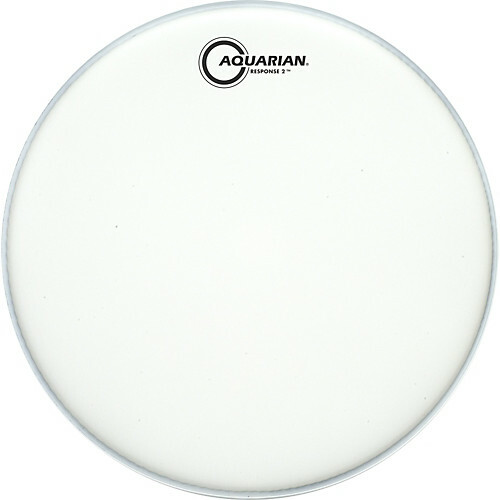 The Aquarian Response 2 Texture Coated has a more focused sound when hit in the center, and some colourful warm tones when hit closer to the edge. 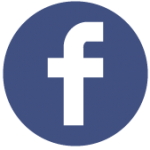 To control overtones even more, add dampening (such as Moongel) for greater focus to the overall sound. 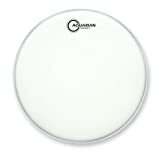 The Aquarian Response 2’s double ply design means you can hit harder to get a big sound when needed. 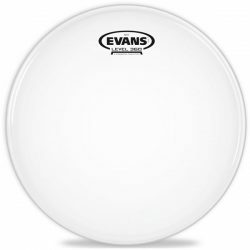 This is a durable drumhead that can hold up well to long-term heavier use. In medium and higher volume situations, this head has enough attack and projection to come through well. 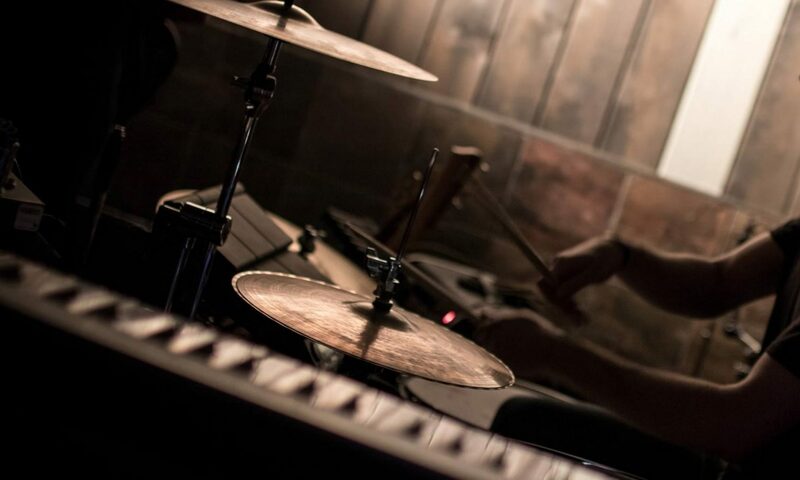 Note that in very loud situations, the warmer attack may get lost in the mix unless you have microphones on your kit. Tip: If you’re worried about this, take a look at the brighter and more cutting Aquarian Response 2 Clear. At lower volumes, the Response 2 Texture Coated performs fairly well. The coated surface gives a little extra responsiveness, although the thicker design means this head is not sensitive enough for very light playing. 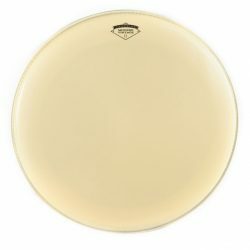 For a durable and slightly warmer sounding drumhead that keeps a moderate and open sustain, the Aquarian Response 2 Texture Coated is a great choice. 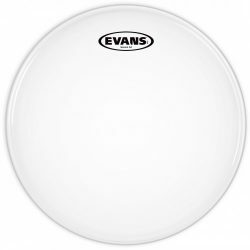 This is a versatile head that performs well across a big range of different drumming environments. The Aquarian Response 2 Texture Coated is available in white and black coated versions. The Black Response 2 Texture Coated has the same sound as the White version.